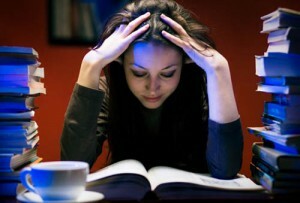 Home > Blog > Do Prescription Drugs Affect Learning? Do Prescription Drugs Affect Learning? While nearly everyone who has ever taken prescription drugs is aware that there are side effects associated with almost every single one of them, very little thought goes into determining whether or not these same medications can actually affect the way children and even adults learn and process new information. There is a laundry list of medications that should be avoided during pregnancy, and most physicians are on the up-and-up when it comes to recommending prescription drugs to treat or prevent certain conditions during pregnancy. Although recent years have seen a decrease in the number of birth defects caused by pregnant women consuming prescription medications while pregnant, there are new studies that may indicate that even seemingly harmless drugs can cause learning issues for children later in life. Scientists have found that some prescription drugs—especially those used to treat depression and anxiety such as Zoloft—can sometimes cause learning disabilities in the fetus that are not detected until the child is of school age. Medications like Ritalin and Adderall are very commonly prescribed in the United States for children who suffer from ADHD. While it is known that these prescription drugs can do wonders when it comes to helping children affected with this syndrome focus on the task at hand, it is still unknown what types of side effects these children may develop later in life. These medications work directly inside the brain to prevent the irritability and loss of focus associated with ADHD. Studies are currently underway to monitor young adults who were treated with these medications as children that will shed some light on their ability to take in and remember new information. Millions of adults suffer from depression and anxiety disorders in the United States and there are many prescription drugs that are offered to them in order to relieve the associated symptoms. All of these medications—including Paxil, Zoloft, Prozac, and the several benzodiazepines like Valium and Xanax that are often prescribed—work on serotonin receptors in the brain in order to help promote a more healthy chemical balance. Scientists state that while these medications do provide some relief from these conditions in affected individuals, any medication that alters the exchange of chemicals within the brain may be causing permanent and unseen damage. Prescription drugs like Lortab, Vicodin, Percocet and others are good options for people who are in pain and need immediate relief. These medications target pain receptors in the brain and prevent them from properly receiving pain signals from any area of the body, in turn relieving pain for suffering patients. The exact method by which these medications work is still unknown, however, and continuous studies to discover this method have been underway for years. Patients who are taking opiate-based prescription drugs are often unable to learn and process new information accurately due to the drowsiness and ‘drunkenness’ that these medications can cause. Since the 1960s, birth control pills have been an effective and accepted source of contraception for millions of women worldwide. These prescription drugs work by introducing certain hormones into the system that prevent an egg from being fertilized, and these hormones can cause a slew of side effects ranging from slight bloating and nausea to heart attack and stroke. Hormones do not just affect the reproductive system; they affect every part of the body, including the heart, lungs and brain. There are scientists who believe that the introduction of chemically produced hormones into the bloodstream may cause issues with memory and learning later in life, but this has not been scientifically proven. While it is currently unknown whether or not some of the most commonly prescribed drugs in this country can affect learning immediately or in the future, scientists and researchers around the world have made it their lives’ work to find out.